Care and growing castor beans is simple and easy. 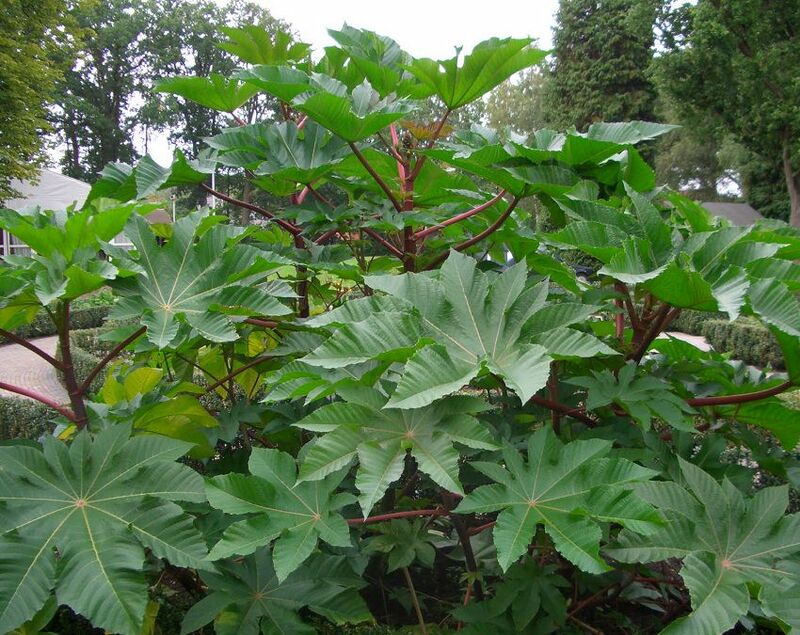 Learn how to grow castor oil plant in this article. Castor, botanically known as Ricinus communis, is a herbaceous perennial plant. 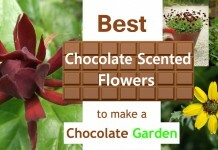 It can be grown as an annual or perennial, depending on the weather. Native to Eastern Africa and India, the castor plant is world’s most poisonous plant. Still it is grown for various medicinal purposes and as an ornamental plant. It has large attractive foliage, star-shaped thorns and red seed capsules. Planting a castor plant is a great way to add some low-cost tropical touch to your home landscape but you should be aware if you’ve children or pets. 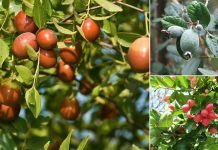 You can grow this plant as an annual in the Department of Agriculture (USDA) hardiness zones plant 2 – 9 and as perennial in USDA Zone 9b and above. The plant grows rapidly, achieving height of six feet or more in just three months and reaches a maximum height of up to 12 m and is a very invasive plant in places where it is native of. Castor plant grows quickly and as it is native to tropics, it needs heat and warm temperature to grow, the optimal cultivation temperature is 77 – 86 F (25 – 30 ° C) with a good amount of light. It is also possible to grow castor oil plant in coastal areas. Growing castor beans plant is possible by seeds. Soak castor seeds in a glass of water for 24 hours before planting. Use filtered or purified water instead of tap water. Sow castor seeds 1 inches deep and space the seeds at least 3 feet away. Keep the soil moist and transplant them to bigger pot or in the garden when the two real leaves emerge. In the garden, space castor plants 3 feet apart. Add some well-rotted compost in the planting hole. For growing castor beans in a pot, choose a large container and use potting mix or make it yourself by mixing equal parts of soil, perlite, peat and compost. The soil has to be rich in organic substance and must be well drained much as it does not tolerate water logging. Castor plant is quite adaptable to many types of soil. Castor loves the sun but needs to be sheltered from the prevailing winds because of its height. Castor plant prefers the soil to be always slightly moist. In winter, reduce watering and let the soil to dry out between watering spells. Fertilize the castor plant once a month with an all-purpose fertilizer. Spread a layer of an inch of aged manure or compost around the base of plant when the buds begin to emerge. Pruning is not necessary for castor plant. Select the bean pods as they begin to dry on the plant. Either remove the castor plants from the garden with pods or leave them if growing as perennial. 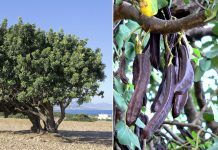 Wear garden gloves, long-sleeved shirt and long pants during harvesting castor beans and disposal of plants. Keep the castor plant away from the reach of children. The toxic called ricin is mainly contained in the seeds but it is also found in castor leaves in low amount. In any case ingestion of any part of castor plant should be avoided. Castor plant can be allergic to some people but it is not poisonous when touched. If you have pets make sure they do not eat the castor seeds or leaves. Great job, the information here are very details. How long does it take castor oil plant to produce please? What can be done ,i have planted about20 hectare of castor recently and the rain stopped for almost one week now and none of them have germinated. Good day all, please, where can I get castle seed for planting and also when is the best time to plant castor seed. Good day.please where can I get seed to plant for castor oil? How and where can I get castor seed? With due respect I would like to learn more about Castor oil plant(in detail). Please let me know everything about it(morphology,chemical composition,uses and benefits of every part,cultivation,care,harvesting,the uses of every part and method-procedures,uses in medicines,uses in cosmetics,uses in soaps and shampoo,uses as lubricants and various industries etc. )including required machines as wel-for factory too. Your’s sincerely-Dr.J.V.Shah.+977 9849154703.Pipara,Vaangangaa municipality-2,Kapilvastu,Nepal.